The world of Teleria is looking for a hero, is that hero you? 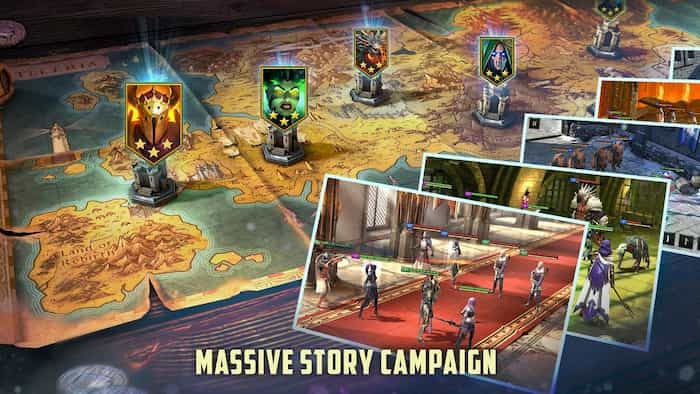 RAID: Shadow Legends is an exciting rpg game which involves forming a team of warriors to defend the magical realm of Teleria. 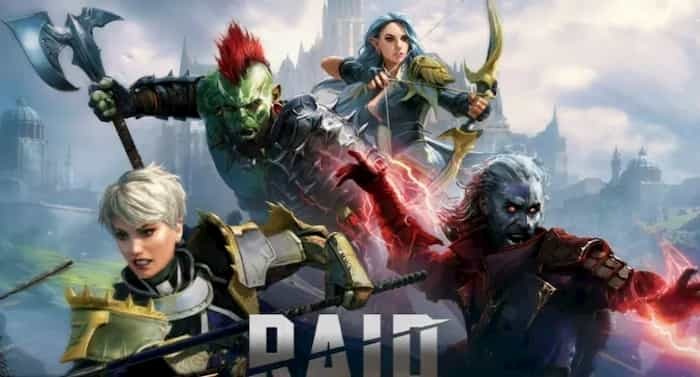 In order to discover everything you need to know about RAID: Shadow Legends, simply continue reading. 1. Hundreds of characters to unlock from 16 unique factions. There are countless characters to unlock from 16 different factions. Examples of some of the fun factions which you’ll come across include the undead, knights, scorers and elves. Once you beat a new champion, you’ll get to recruit them to your team, which will make your team stronger. While a lot of the time which you spend playing Raid: Shadow Legends will involve beating AI opponents such as champions, you’ll also be able to face off against real life players inside the PVP arena. If you are victorious in a PVP battle, you’ll be rewarded with rare gear, which you’ll be able to equip to your favorite characters. One way to increase the power of your characters is to collect and equip different artifacts to the characters which you hope to level up. Each artifact that you find will give your chosen character a new skill, such as the ability to self heal or to use a brutal, effective new attack. In order to be able to train your characters, you’ll need to build a bastion. Once you’ve successfully built your own bastion, you’ll be able to increase your characters’ attributes so that they’ll have a higher chance of winning battles against champions, bosses and real life players. 7. Challenging bosses to fight. Make sure to beat each boss, which your face twice. As the first time you beat a new boss, you’ll receive XP points and loot and the second time you beat a boss, you’ll receive new gear to equip to your characters. 8. Mysterious dungeons to explore. In order to earn valuable XP points and to pick up valuable loot, it’s well worth exploring Raid: Shadow Legend’s dungeons. It’s well worth playing through the game’s campaign mode at least once. As it features 13 unique locations to explore and each chapter is fully narrated, which will help you get lost in the story that you’re playing. If you log onto Raid: Shadow Legends on a daily basis, you’ll find new limited time daily quests to complete. Completing daily quests is a smart idea as it’s a quick and easy way to accumulate XP points and rewards. As a bonus, during the first few weeks that you play Raid: Shadow Legend, you’ll also be given a daily bonus, for playing. However after a couple of weeks, you’ll no longer be given a daily bonus, so it’s a wise idea to use your power ups carefully. If you complete every daily quest in a month, you’ll earn a free shard. So if you’re keen to defend the magical realm of Teleria, it’s well worth downloading Raid: Shadow Legends on PC. Sometimes when playing RAID: Shadow Legends, bluestacks ask you fee to pay but gives you option to download some apps. Every time it asks you just select “Install apps” and continue using it free. I hope you enjoyed this article, please rate and share. If you have problems running RAID: Shadow Legends on your desktop or any other issues, leave a comment below.